The other day it was very hot in our home so we decided to go out and take advantage of other peoples air conditioning. We ran an errand and had dinner. We were in the neighbor hood of our local Best Buy and I suggested we stop in for a few. I like looking at electronics and such and besides... it is air conditioned. That desire to keep cool could have easily cost us over $600 but it didn't, because we refrained from buying two items. Why we want it : It would be a convenient way to quickly check email and do light computing. My wife wants to carry it around in her purse. Our Best Buy has been remodeled and now has a section in the back with musical instruments. They sell all sorts of guitars, drums and keyboards. I"m not a musician myself but my wife is and she enjoys music. They have some demo rooms setup in the store that you can try out the instruments. My wife tried some of the guitars and found a model she liked quite a bit. Its fun to play around with musical instruments and she enjoyed it. 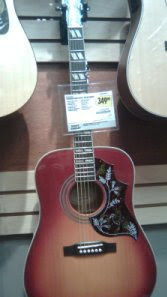 That guitar was the 2nd item that we did not buy last weekend. 2) A guitar. Retail cost $349.99. Why we want it: My wife enjoys music and playing the guitar. If we'd indulged ourselves or gave into an urge to purchase these items then I would have walked away with $630 less. The point here isn't that you shouldn't buy stuff or that you should not buy things you enjoy. The point is that : Expensive items are not something you should buy on an impulse or a whim. You should shop around for more expensive items. The guitar is something we should shop around more for and find out what else is available from other stores and how their prices compare. For all we know the exact same guitar might be found for $200 cheaper down the street. Or we might find a better guitar she likes even more. Whims can pass and they often do. Tomorrow my wife might not be so interested in getting a new guitar and might instead decide that a new keyboard is her higher priority. Whenever I wander through the video games I can usually find something that I have an urge to buy. If I don't buy it then I usually will have pretty much forgotten about it a few hours later. Every time I resist that whim to buy something, I'm basically saving myself the money. If the desire to buy the item lasts then thats a good test that you really do want the item. The whim or urge to buy an item might stay with you and really be more than a whim. At this point you'll know that its clear that you really do want the item. If a week or two later you still definitely want the item and would prioritize it above other want/luxury spending then you'll be best served in doing some comparison shopping. This is the point we are at with the netbook purchase. We've looked at Costco and Best Buy and I've searched around online. We're pretty much decided we are going to purchase, the only detail is exactly which model and when. If you put off purchases of luxury items then it helps contain in your spending. If you can exercise delayed gratification in your luxury purchases then it will limit your spending in the long run. Invariably once you've bought one item on the top of your "wants" list, then you'll next turn to purchasing the next item on your list. But if you delay purchase of the items then you'll have those items to look forward to buying. 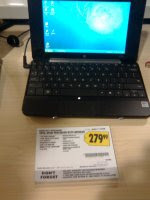 My wife and I could have walked out of Best Buy this weekend with a Netbook and a Guitar. We didn't and kept our money in our pocket. Avoiding whim purchases can save money by helping you think on it and decide if you really want the item, taking your time to shop around will help you get the best buy and delaying your gratification will limit and draw out your spending.